She has been traveling for 30 years, packing her bags full of musical and poetic treasures. She’s been a singer ever since she was a child, first in choirs and then, very quickly, as a soloist. What strikes the ear when listening to this young woman is a well asserted character paired with an assurance both in the voice and in the fingers. With her classmates she was already inventing universes, staging shows, playing the piano or guitar and some flute and oboe along the way. 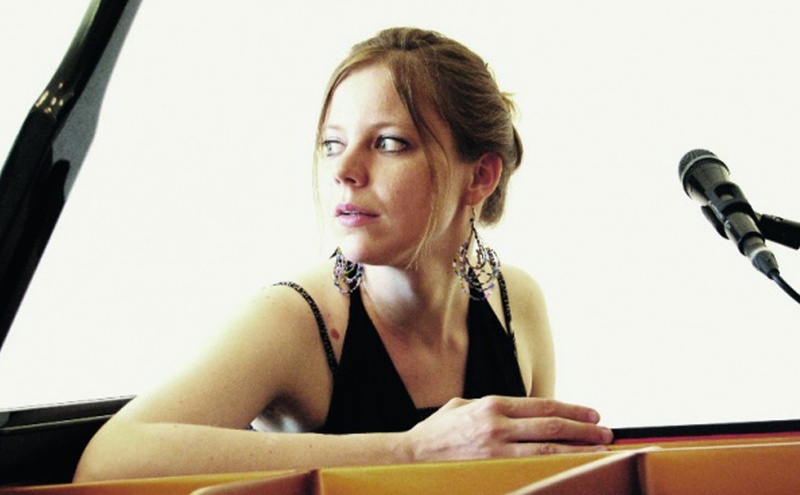 Tamara Mozes comes from a musical country, a country known for Kodály, Liszt, Bartók, and Ligeti, to name but a few. Tamara was born in Hungary, centre of Europe, where formal music and folk music meet. She has never lost her taste for playfulness, neither during her long studies of classical piano, harmony and singing, nor when beginning to perform solo for classical recitals. From Budapest, to Paris, to Antwerp, from conservatories to universities, and from clubs to festivals, her personality has been growing all the way along. She follows in the footsteps of Patricia Barber, Shirley Horn, Rachel Ferrell and Aziza Mustafa Zadeh, all of them influences she happily admits to. Her mark can certainly be found in the way she tenses and relaxes all of her 'strings' - the vocal ones and those of the keyboard. With her voice and piano combined, a human singing-playing-machine, generating bouncing basses and lively melodies, she leans into the keyboard to give momentum and elasticity to its voice. Sensual and lascivious in the next moment, she feasts on jazz and pop with the same appetite. Better still, she modifies her musical influences, bending them to her will, and weaves together the compositions she extracts, aided by a stunning technique. MOOZING comes out on Yolk Records, whose concept is to make beauty out of beauty, the label co-founded by Sébastien Boisseau, with whom Tamara collaborated to play under the direction of Gábor Gadó, another talented Hungarian. MOOZING is an album with very different pictures revealing the pianist, the singer, the author and the composer equally. A subtle balance between tightly constructed music and abstract lyrics, extreme dynamics, generous rhythms, surprising breaks that summon Jamie Cullum, Nina Hagen, Joni Mitchell and Lauren Newton in a painting by Claude Monet.